A No. 4 AP preseason ranking comes with a lot of excitement, and with that high expectations. As it stands now, the University of Wisconsin football team is currently in position to be one of the four teams to qualify for the College Football Playoff. The team was ranked here last December as well, only to come up just short in the Big Ten Championship once again to The Ohio State Buckeyes. This loss ended up leaving the entire conference out of the College Football Playoff, which is something I’m sure Wisconsin has thought about all off-season. Coming off yet another frustrating late-season loss, this Wisconsin team is looking to finally prove they are playoff material. The AP voters seem to concur by giving them this high ranking, but the team will have to prove it on the field this year versus a schedule featuring a number of difficult matchups: especially on the road. 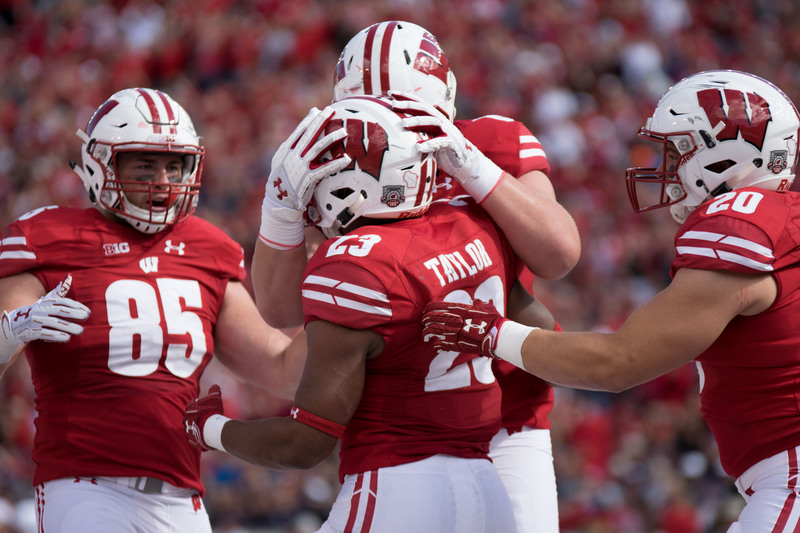 After the dominant 34–3 victory against Western Kentucky, Wisconsin starts the year facing two more non-conference opponents at home in Madison, which should be an easy start to the year for the defensive powerhouse. 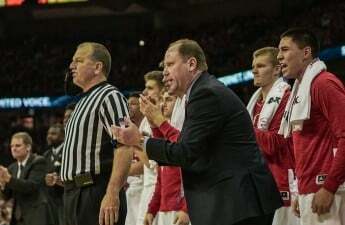 In years past, Wisconsin has had a tendency to hold non-conference opponents at home to single digits while running up the score with their impressive ground game. With running back already Jonathan Taylor putting up 143 yards and two touchdowns in the first game, look for him to continue these huge numbers in these next two games as Wisconsin tries to run the clock on their opponents as much as possible. After this easy opening slate of games, Wisconsin travels to Iowa, who received two AP points in the opening preseason poll. Iowa is known for their tough defenses and has given Wisconsin some trouble in the past. Iowa forced two interceptions returned for touchdowns against Wisconsin quarterback Alex Hornibrook in their game at Camp Randall last November and managed a top-five scoring defense in the Big Ten last season. Wisconsin will still be a heavy favorite to win this matchup, but this will be one of the tougher ones all season. Next up, the Nebraska Cornhuskers come to Madison. They typically manage to play Wisconsin close but have had little success of late as Wisconsin has won five straight against them. Following that game is Wisconsin’s first big test of the season against Michigan at the Big House in Ann Arbor. Wisconsin managed to shut Michigan down for a win with their defense in Madison last November but had some trouble generating any offense in Ann Arbor back in 2016 in a 14–7 loss. If Wisconsin can get Jonathan Taylor going in this game, they should be able to pull out a victory, assuming their defense maintains its Big Ten best form from last season. Beyond the Michigan game, the only frightening matchup left on Wisconsin’s schedule is a November 10 game against Penn State at College Park. This stadium of 100,000 is known as one of college football’s toughest places to play and will be the test of the season for Wisconsin. Last time they played was the 2016 Big Ten Championship, a game in which Wisconsin blew a 28 point lead and lost to an impressive passing attack from Penn State. 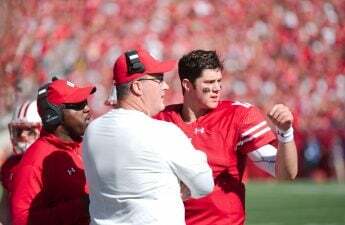 For Wisconsin to prove they are College Football Playoff Material, they will need to be able to win at Penn State as well as following that up with a Big Ten Championship. 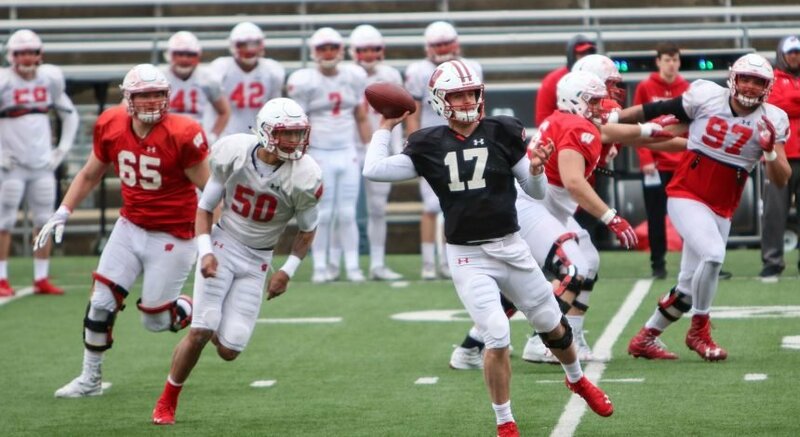 Wisconsin may only have two ranked opponents on its regular season schedule this year, but that does not mean they won’t be tested. If the Badgers want to break into the College Football Playoff they will need to earn their trip.